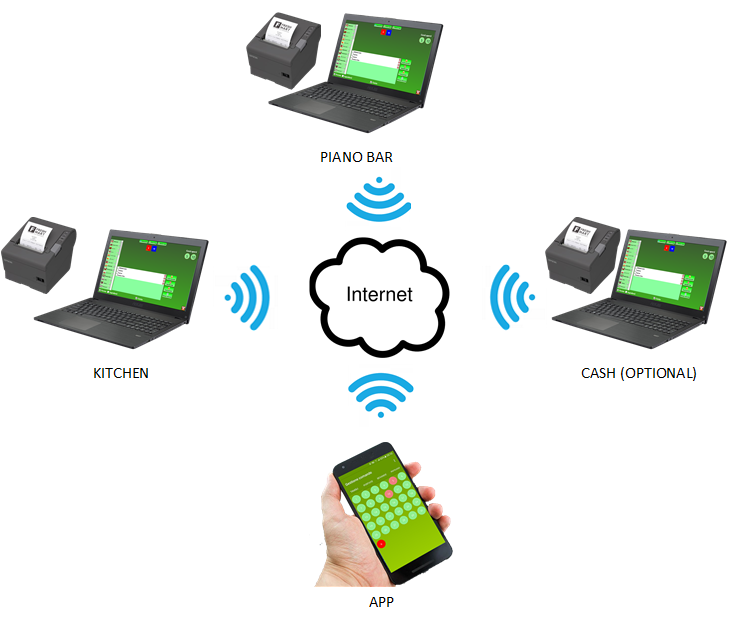 The complete system architecture includes the use of 2 or 3 PC, 2 or 3 printers (optionals), a smartphone Android and a stable internet connection for all devices. 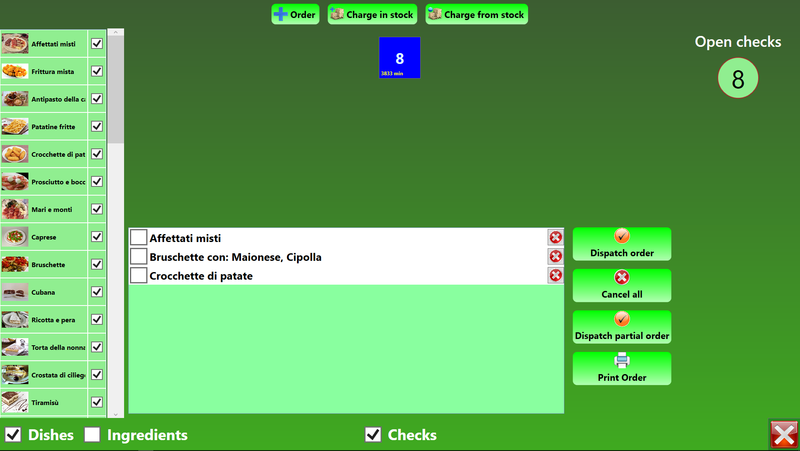 The three computer are arranged in "Kitchen", "" and "Cash" stations to allow consultation and evasion of orders, the payment of takings and optionally the automatic printing of new orders. Android smartphone is used by the waiter picking orders. Minimum system requirements are PCs equipped with at least 2GB of RAM and the use of thermal printers for the optimization of operating costs. To install the application on your PC, download the latest software version from the download area and run the setup file. Confirm the various screens until the end of the installation. 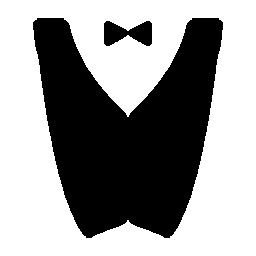 Start the application from the icon on your desktop. Once the application is installed, in order to use the 30 days of free service you must create an account. To create an account you have to start the application and click on the "Register" button, fill in the screen that appears and click "Save". During this step it's important to enter a valid email address, in fact, clicking on save will be sent an email to the specified address. 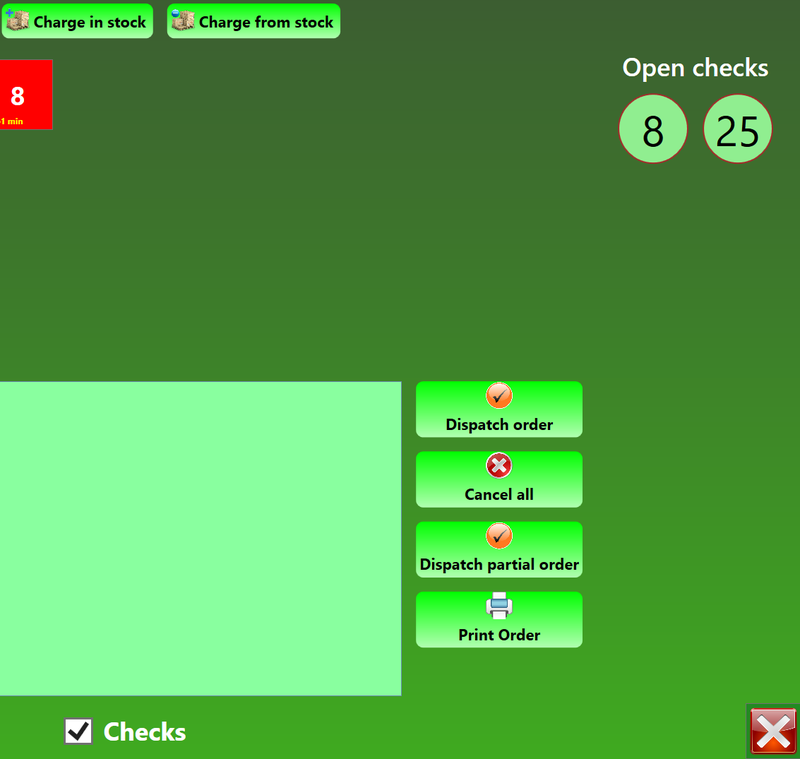 To configure the software, click on the button "Administration". 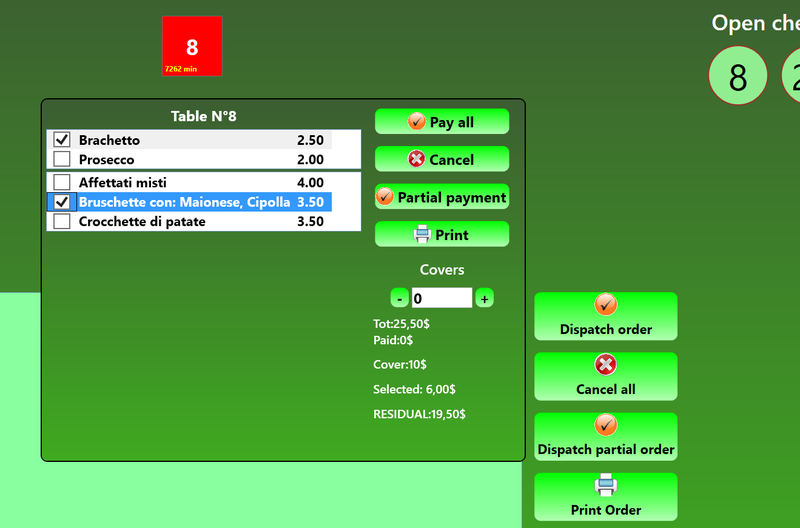 Futher you can see the monthly statistics related to takes and covers done, and configure the automatic prints of orders. 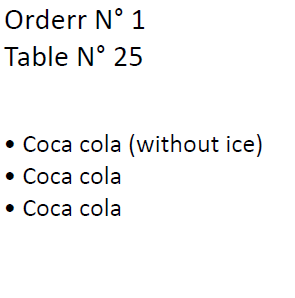 Through the "Send order" button you will send the order to the stations "Kitchen" and "Beverages". 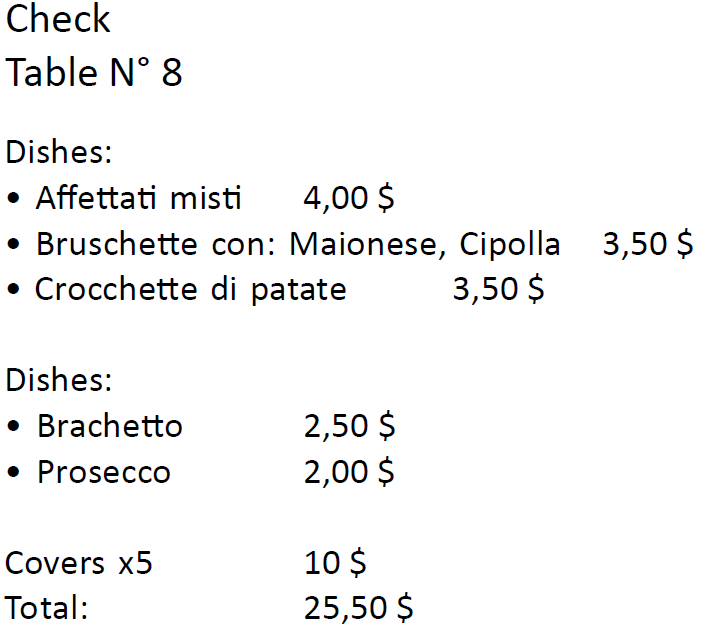 Through the "Kitchen" and "Beverages" interfaces will be shown, as they are carried out orders from the tables, their respective orders. 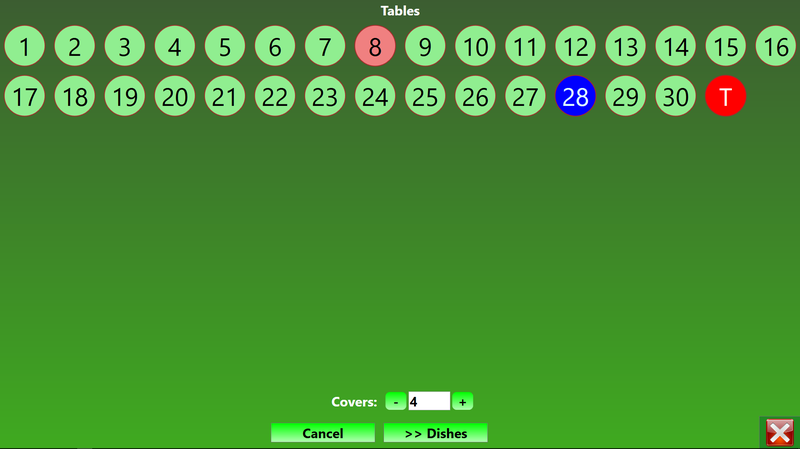 Each order is represented by a colored square that changes color according to the time elapsed since the order was placed. 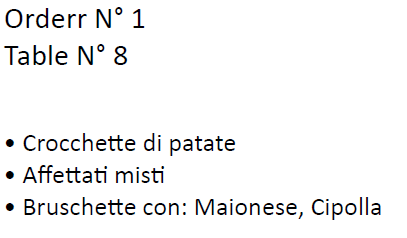 Also in the square it will be shown the time in minutes elapsed since the order and an indication in the case where the order was processed in a partial way ( ). 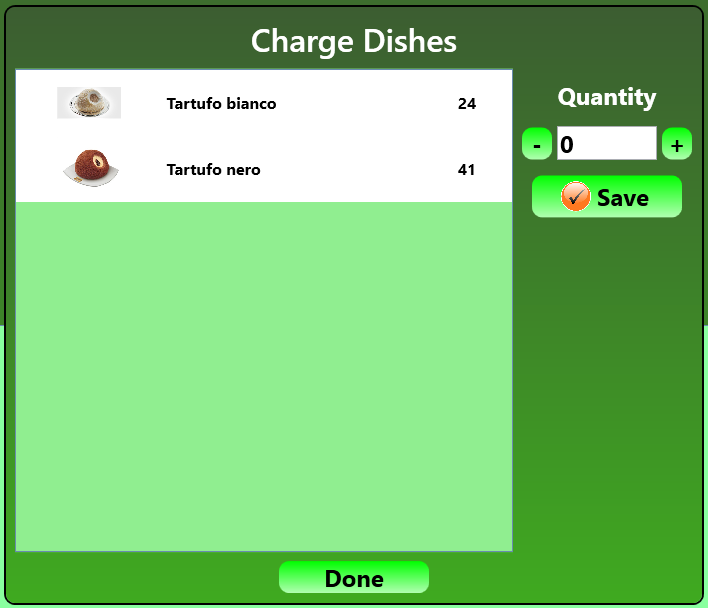 Through the check boxes placed at the bottom of the screen you can enable / disable the dishes, drinks and beverages that can be booked at the tables. 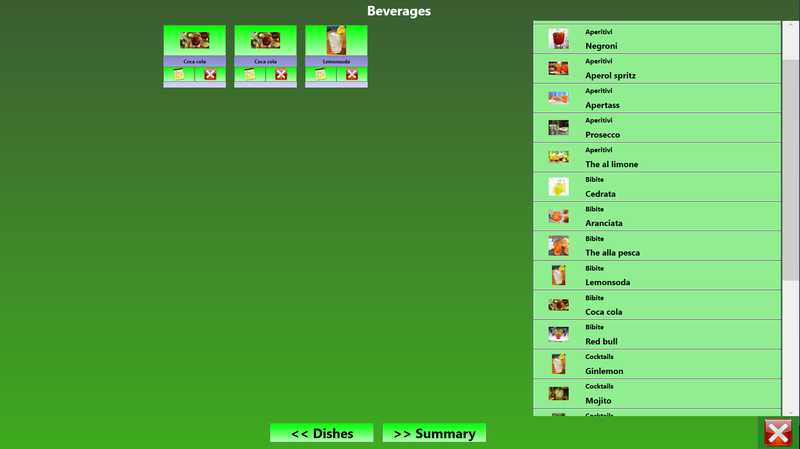 This feature is particularly useful for example in the case where a given beverage is finished or are over the pizzas. 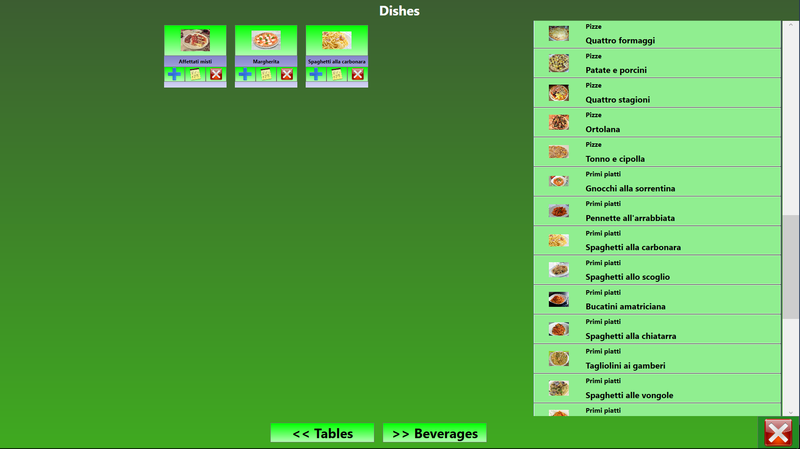 From the interface "Beverages" you can disable the drinks and from the "Kitchen" the dishes and ingredients. 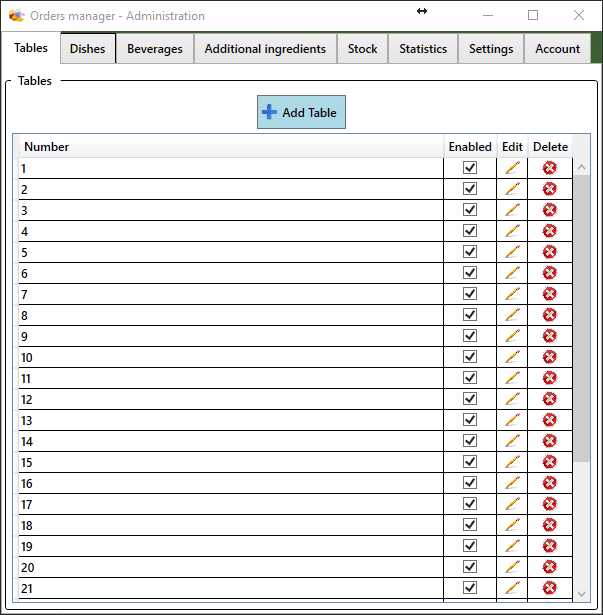 If the items quantity is below a threshold and if in the administrative interface has been configured you want to receive email notifications, will be sent periodically to one or more email addresses a message indicate the low items.